Sometimes I want a salad. And sometimes I want this salad to taste like I got it from a restaurant. I can't be the only one, right? It may just be me, but it's hard to find salad dressing that comes in bottle that really makes me swoon (although Trader Joes is getting pretty close). This dressing and salad, though, completely hit the mark. This has been my go-to Caesar salad recipe for years (Thanks Dad!). It is soooo easy and tastes amazing and restaurant-y. I think what I like about this Caesar dressing in particular is that it is a vinaigrette and not the traditional creamy based dressing. It has a much lighter taste and feel. And it's pretty garlicy (that's also probably why it's one of my favorites). You can totally prepare the vegetable part of the salad however you like since the dressing is so versatile. You could even use it as a great marinade for chicken or fish. 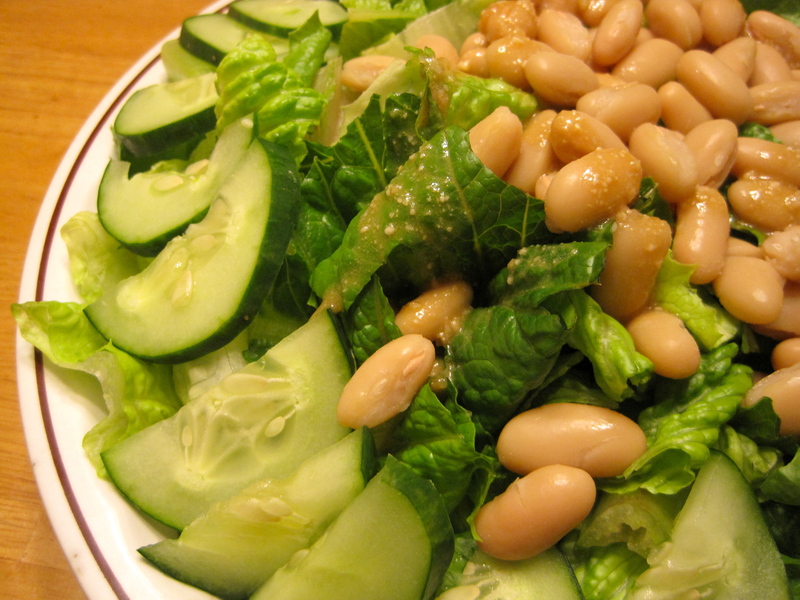 The recipe that I'm posting is more of a guide that you can use to create your perfect salad. Unfortunately, I didn't have any croutons, but I totally would have added them. I added some white beans for flavor and texture, which I really enjoyed. Tomatoes would be great as well. 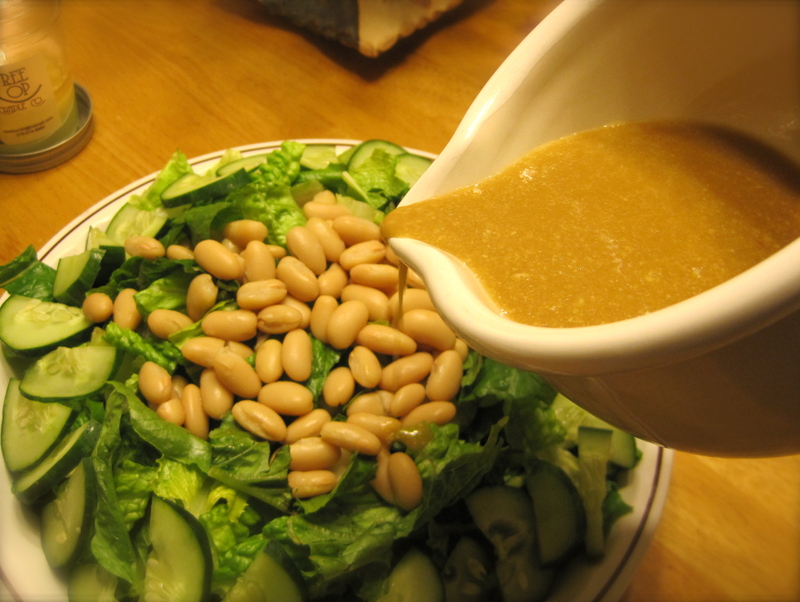 Anchovies are another great addition to the dressing, but can be omitted for sensitive palates. What's your favorite type of salad? Are you a Waldorf person? Do you like Chef or Cobb? What about your favorite dressing? 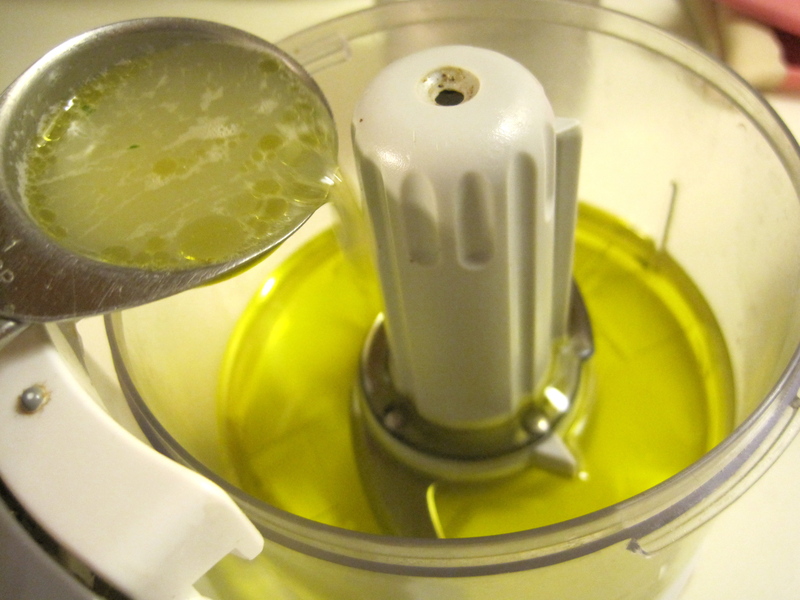 In a food processor combine the olive oil, lemon juice, balsamic vinegar, worcestershire sauce, 1/2 cup parmesan, garlic, anchovies, salt and pepper. Pulse until completely mixed, about 30 seconds to a minutes. Set aside. As a side note, there was a tragedy this past weekend in my hometown. Austin Arnold passed away at only 16 years old. I didn't know him personally but I'd like to share my deepest sympathies with his family and friends during this difficult time.